Ubisoft and Tom Clancy have shared what is quite possibly the longest healthy relationship in all of gaming. Seriously, fact check it. And Tom Clancy’s The Division 2 is the latest entry into this abstract marriage. 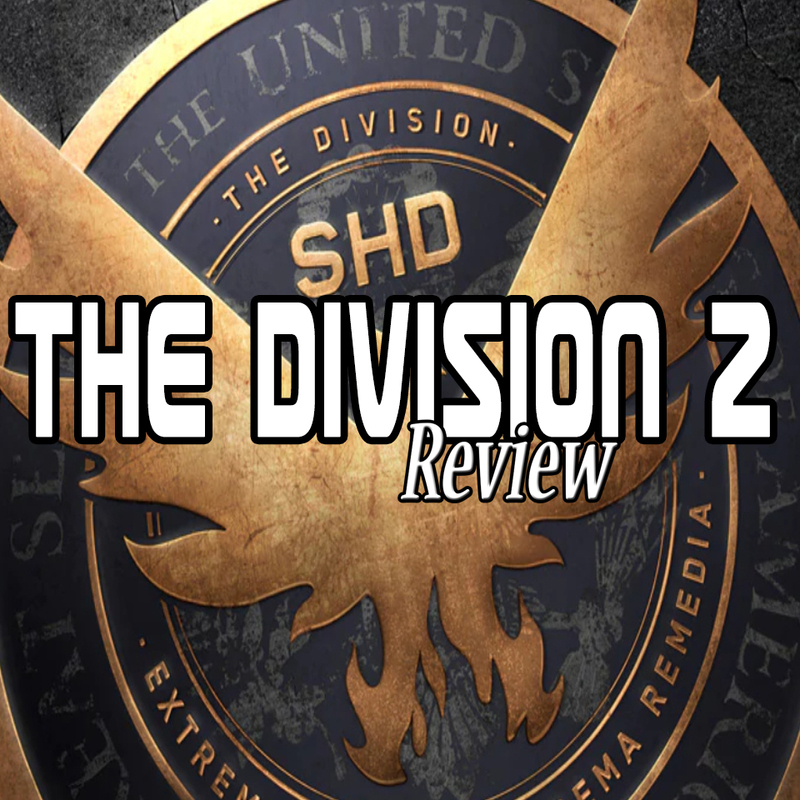 Released on March 15th, 2019 on Playstation 4, Xbox One, and PC The Division 2 is a third person multiplayer squad based action shooter. 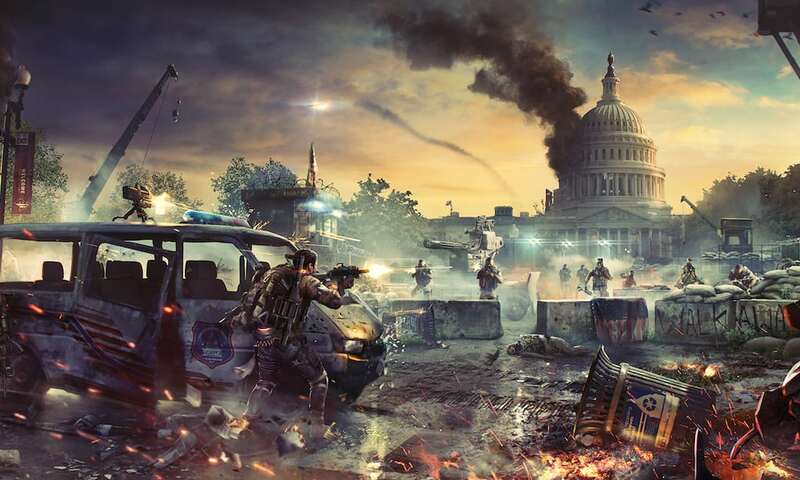 Developed by Massive Entertainment, The Division 2 aims to be the improvement of everything that was great about the first installment. The Snowdrop Engine looked amazing 3 years ago when it was first used on The Division. Division 2 however, is the first true example of what the Snowdrop Engine is really capable of. As soon as the game launches everything looks incredibly amazing, but that’s not the big selling point. The big selling point is the amount of control, even on consoles, the player has over the visuals of the game. Ubisoft’s proprietary engine allows for so much customization to allow anyone to set the games visual to exactly how they’ll enjoy it most. The freedom and control the Snowdrop Engine offers coupled with the fact that the game looks great is incredible. Every animation, from person to animal to explosion, looks fantastic. Nature blends itself well into the concrete settings of post apocalyptic destruction filled D.C. Character movements look and feel astonishingly natural, especially for a game so tethered to online. Take some time to kickback and just enjoy the scenery. It will not disappoint. Within the world of the Division exist a major crisis. It’s been a little over half a yeas since the initial infectious outbreak that brought down the U.S. And now things are reaching anarchic levels of bad. Members of the Joint Task Force have defected and left the white house completely vulnerable to the Hyenas and the Outcast. The worst has literally come to fruition and there’s a lot of work ahead to make things better. The story itself is great however the presentation not so much. Being an online multiplayer game diminishes the value of the story and makes it really hard to feel like a part of it. Lines between campaign missions and side missions are very blurred because the real gameplay goal is to become stronger. Very rarely does the game stop and allow for the narrative to position itself upfront and center. The focus was clearly on gameplay and shoot’em up mechanics over narrative delivery. The Division 2 has a very unique sound design issue. The world is designed to be chaotic and feel unsafe. However, unless there is a nearby firefight the visual fidelity makes everything feel peaceful, somber, and a bit messy. It has a post car accident feel. Everything looks like something really bad happened, but that bad thing passed. The emptiness of the world makes space a very lonely audio feeling. The good news is this ambience is nearly perfect for an online squad based shooter. Considering most of the sound will be the nonsense chat amongst the squad. Third person cover based shooters typically suffer from inconsistent character behavior. Everyone whose ever played has fallen victim to being completely exposed to the enemy because the game misunderstood your cover request. Division 2 has not entirely fixed this but it doesn’t suffer as much as other games. Not sure why, but not complaining. Outside of that major genre flaw, everything in the game feels great. The dynamics of weapon modification is pretty cool even if it suffers from the online game issue of racing to higher numbers. A lot of the tactics of understanding weapon mods is removed because the overall goal is to increase the overall gear number. That number represents the truest strength of the character. The controls in action are super tight and have a vast number of customization options to fit any play style. And the development team is being super supportive of the community, listening to request and complaints. Despite being a multiplayer game, The Division 2 is still incredibly fun as a single player game. The squad based combat with friends online is hands down the best way to experience this game. However, the experience alone is just as fun, especially if you don’t mind the added challenge of doing it alone. The frequency of ammo and supply restocks make it feel endlessly exciting. The thrill of an even match against enemies keep the action nonstop. 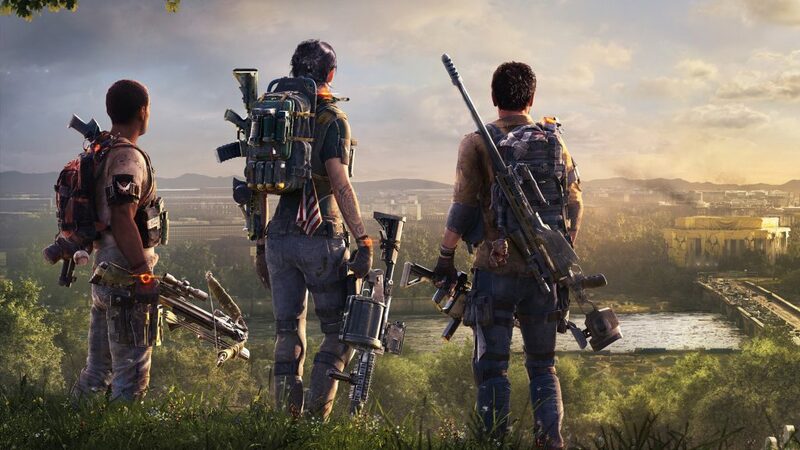 Are far as third person shooters go, there really isn’t anything on the market as exciting as The Division 2. 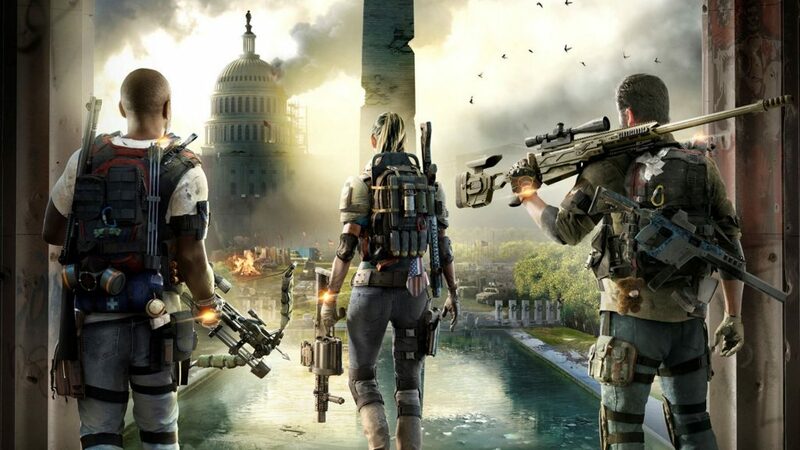 The Division 2 is an incredible sequel and an incredible example of “games as service” done right. The load times could be better, but once the game is loaded hours could fly by without feeling gaming fatigue. 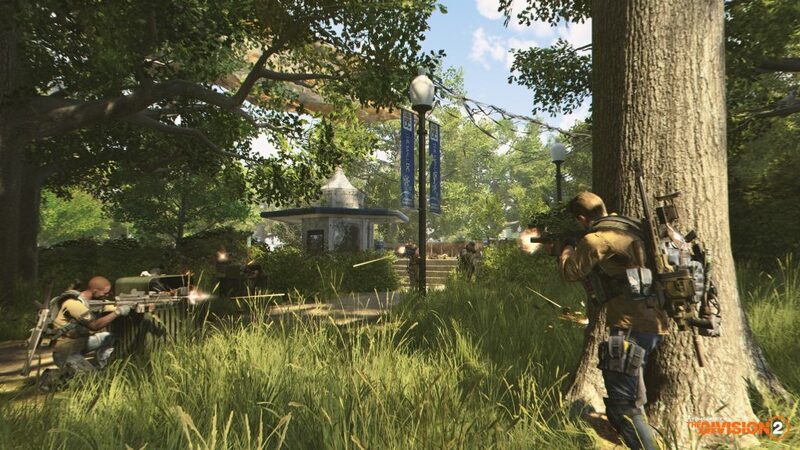 Although Division 2 is an online multiplayer game, it is accessible to anyone who enjoys single player third person cover based shooters. Simply put, save for the lack of narrative focus, this is a great game.